Would A Magical Entertainment Liven Up Your Next Event? My name is Dennis Regling. More than a magician, I am an entertainment specialist. Always squeaky clean, my shows are funny, engaging and filled with audience participation. Young and old alike will have a wonderful time when you invite me to your event. In the past 20 years I have performed over 5000 programs at schools, fairs, festivals, camps, churches, private parties and company events in 28 states. I am a regular performer at the historic Victoria Vaudeville Theater in Wheeling, WVa. What follows is an impromptu 6 minutes I performed with 3 balloons and a paper bag. Why Choose A Magician For Your Next Event? Magic is the perfect entertainment for a family event. Small children are in awe at the powers of the magician, actually believing it is real. Older children and teenagers like to try to figure out how it is done, catching the magician in the act. Adults get it all, first watching the magic show through the eyes of their children, only to realize at the end that they enjoyed it as much as the kids did. Dennis Regling's Family Magic Show is guaranteed entertainment. Full of bright colors and laughter, it always draws a crowd. The show itself averages 30-45 minutes, depending on your needs. We are self-contained, even providing our own sound system when necessary. Filled with comedy and audience participation, this show will leave everyone with a smile on their face, asking each other "How does he do that?" Dennis has opened for such acts as Kathy Mattea, The Lovin' Spoonful, T Graham Brown, Heywood Banks, Kenny Adkins and many more. He has performed for Meijers, Bombadier, The March of Dimes, Auto Zone, Dunkin Donuts, Denny's, Baskin Robbins, The American Heart Association and many other corporations, festivals and clubs. His performance is always squeaky clean fun for all ages. He has performed at the Columbiana County Fair and the Harrison County Fair, both in Ohio as well as festivals across Ohio, West Virginia, Pennsylvania, Kentucky and New York. More than just a magician or balloon twister, Dennis is an entertainer. Our stage magic show can also be combined with other programs to better meet your entertainment needs. Before or after the show we can do strolling magic or balloons. I walk among the crowd, doing close-up magic for small groups. This is really amazing, as the magic happens right before your eyes, in your own hands! Dennis Regling is considered the country's best strolling balloon artist. Not just a balloon twister, Dennis is a balloon entertainer. Whether at a festival, a party or other event, his ability to create works of art from simple balloons is simply astounding. His ability to hold the crowds attention with funny patter and games sets him apart from your average party clown. Mermaids, Rocking Horses, Tasmanian Devils, Cartoon Characters and incredible hats are only a sample of the creations he can make for your guests. Dennis has performed at the International Childrens Festival, the National Chicken Wing Festival, the National Hamburger Festival and dozens of regional and local festivals. Dennis also teaches classes on balloon twisting and has starred in over a dozen balloon twisting instructional DVDs. We were hoping to use a kids oriented entertainer to draw more families to our festival weekend and Dennis was a perfect fit. Families came back the next day to see him again." and seeing the balloon animals you made and how good you were with the children - and adults as well." 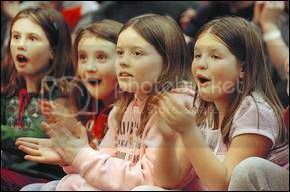 "We had Mr. Regling come to the Charleston Ribfest festival (July 26,27, 2008) and were very pleased with his performance and the way he got along with all the children. He was very easy to work with, made the kids happy and put smiles on their faces. We have ask him to attend our festival once again in 2009. We would recommend him to anyone who needs a specialty act." "Thank you for coming to the Johnny Appleseed Festival. You made a lot of kids smile!" Fairs & Festivals Dennis Regling's comedy magic show is the perfect entertainment for festivals and fairs. Filled with audience participation and volunteers, it is an engaging show filled with family fun. Dennis Regling's magic show can be adapted to any stage area, big or small. As a strolling balloon artist, Dennis mingles with your crowd. Twisting amazing balloon sculptures and telling corny jokes, he will entertain young and old. Holiday Shows Dennis' holiday programs make any event magical. Make this the best Christmas party ever. Whether you need a family style show or a program geared toward adults, Dennis provides squeaky clean fun that features the holiday theme. School Programs Educational Programs That Truly Teach, Inspire and Entertain. We Offer Curriculum-based Fun for Students and Teachers! School assemblies don't have to be either educational OR fun -- they can be BOTH...which is why Dennis Regling visits some schools year after year after year. Another reason: students AND teachers ask for him to come back. The key reason: Mr. Dennis' technique which mixes entertainment and information so kids laugh and learn and retain. It has been repeatedly proven that students retain key points when principals have quizzed students after Mr. Dennis' shows on the theme and specific information. All shows are carefully geared to EACH AGE GROUP. There are always several programs to choose from and if your school has a special theme, we can adapt it for you at no additional expense. Fund Raisers The easy raise to raise hundreds and even thousands of dollars for your group. When you host Dennis Regling's Abracadabra Comedy Magic Show, you are bringing to your community a magic show that has amazed audiences all over the USA with his awesome illusions. High Energy Magic, Hysterical Comedy, Audience Interaction and Upbeat Pop Music GUARANTEE an awesome show for adults and kids alike.We supply the tickets, posters and a complete fundraising manual to make your event a success. Library Programs Dennis designs his library programs to your theme. 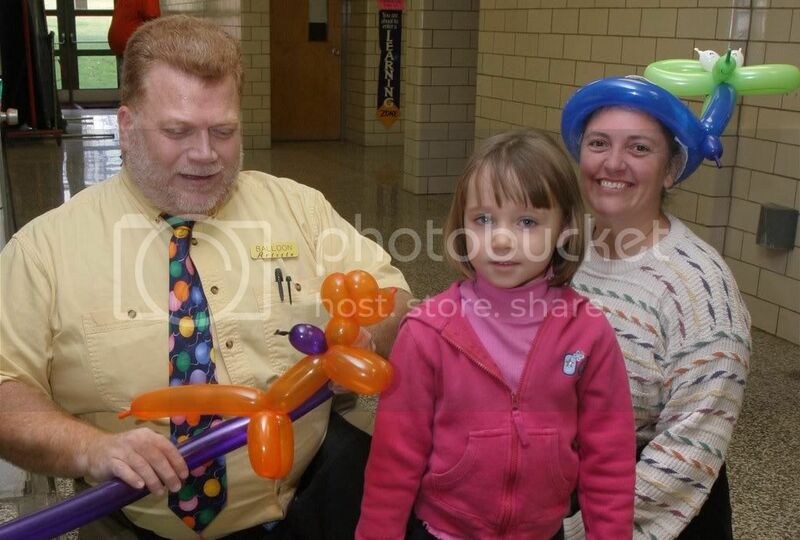 In addition to children's shows, Dennis also teaches magic and balloon classes for all ages. After Prom & Grad Parties Dennis' great show, "Genius Unleashed," is the perfect entertainment for your after-prom party. His magic of the mind will astound everyone as he reads your mind and performs amazing mental feats. Plenty of volunteers make your students the stars of the show. "Not your typical magician, Dennis Regling has perfectly blended magic with his unique comic style to create a family show for all ages." Church Programs A gifted Christian author and preacher, Dennis is available for Revivals, Children's Crusades, Vacation Bible Schools, Fair Ministry and community outreaches. Magic, balloons, puppets, music and powerful preaching highlight Dennis' programs. References available. Special Programs Dennis can design a special themed program for your next event. Be it a Wedding Reception, Blue & Gold program, Birthday Party, Picnic or other event, Dennis will amaze and entertain your guests. Strolling magic, balloon animals or small stage magic show available. Contact us now to check on available dates. Pennsylvania, Indiana, Michigan, New Jersey, Kentucky and New York. Let us help you put together the perfect program for your event! We have packages to fit almost any budget. Through the years "Mr. Dennis" Regling has helped countless event coordinators and organizations across the East and Midwest bring the highest quality entertainment to their events. here are the reasons why our programs are your best buy. I hope that you find these helpful when choosing the right entertainment for your event. Squeaky Clean Family Programs: Some performers use off color humor and stunts in their "family shows." Dennis Regling never uses profanity, sexual innuendo or other inappropriate material in his programs. All volunteers are also treated with the utmost respect. There is nothing for you to worry about at all! Self-Contained Programs: Some performers may ask you to provide them with a list of what they call "requirements" for their program. We won't ask you to provide us with anything other than a simple electrical outlet and an audience- that's all! We bring our own tables, props and even a top quality, professional sound system and microphone. Testimonials From Satisfied Clients: All of our programs have been well received at hundreds of events and we've got the references to prove it. What other clients have to say is so much more important than anything that we can tell you. Therefore, we are happy to provide you with a long list of names and telephone numbers of clients who have hosted our programs so that you can have complete peace of mind. Presenting Comedy, Magic, Balloon Twisting and Illusions in Ohio, West Virginia, Maryland, New Jersey, New York, Pennsylvania, Indiana, and Chicago. We will show you how Your PTA, PTO School, Church, Lodge, Community, Service Organization or NPO can make $5000.00 Plus in just One Single Night and have a great time doing it! Dennis Regling Productions is the leading producer of Magic and Illusion shows in the midwest. Fundraisers for Schools, Non Profit Organizations, Lodges, Communities and Service Organizations are a specialty. If you represent a School, Church, NPO, PTA, PTO, Lions, Elks, Moose, Chamber of Commerce, Jaycees or any other worthy organization, please contact us right away. This site also features Dennis Regling's very special magical Birthday Party Show Available only in Southeast Ohio, including Cambridge and the Wheeling Metro Area. In addition we perform many shows for Company Banquets and Events such as Fairs, Festivals, Private Functions and more. Dennis Regling is a true professional and will make your event magical. Fundraisers for the PTA, PTO, Schools, Lodges, Service Organizations, Chamber of Commerce will help you meet your annual fundraising goals in just one night. 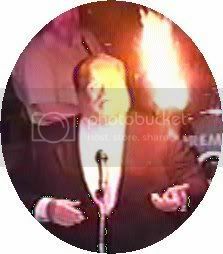 Birthday Party Magic Shows, Trade Show Magician, Dennis Regling's Magic and Fun Show, Holiday Magic Show, Halloween Magic Show, Christmas Party Show, Fundraiser Show, School Assembly Programs, Fairs, Festivals, Granstand Shows, Trade Shows and Events of all kinds. Our balloon sculptures have delighted audiences young and old throughout the East and Midwest. Dennis Regling is a proud member of The Pickle Group, LLC. Copyright 2008/ 2015 The Pickle Group, LLC. All Rights Reserved.